I think they're more concerned about selling stuff they have out today, which they aren't doing a great job of. What would happen if they showed a great product right around the corner? Q1 would look like a success compared to what they'd endure. This implies that actual performance numbers would make Barcelona more visible. But to factor into a buying decision they have to know Barcelona is coming, and anyone who knows that can probably guess it will be a significant step forward, based on it's need to compete with Intel. Soe either you don't know Barcelona is coming, in which case performance numbers don't matter; or you do know it is coming, in which case the only reason to buy AMD before then is because it's cheap. You are using pretzel logic here. If you know Barcelona is a significant step forward, why do you need the results posted beforehand? Actually, performance would make Barcelona more visible, and if it were better than expected, you'd kill current sales. You can speculate on performance, but you really don't know. The only place you'd really want people to know beforehand is the server market, because people plan these purchases. And guess what? 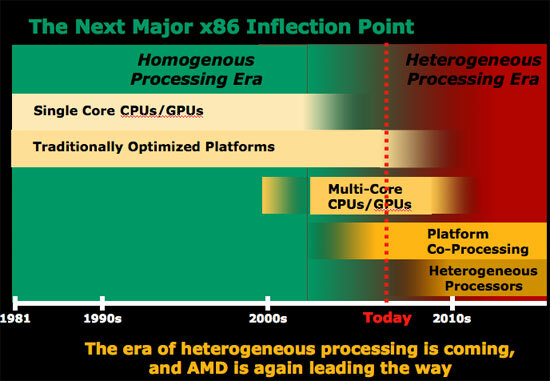 AMD released those numbers, and there were pretty high. It's also completely different to know something is coming out and guessing at the performance, than actually seeing the numbers and from that being thoroughly disgusted with the performance. 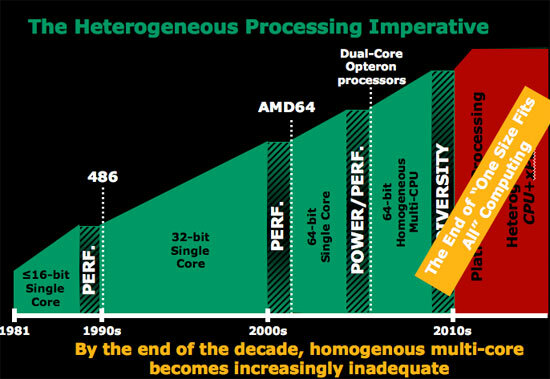 I could live with any of the processors today, but once I see one get raped by the next generation, I don't want it. It hits you on a visceral level, and after that, it's difficult to go back to it. Put another way, say there is a girl you can out with today that's fairly attractive and would certainly add to your life. You could wait for one that will be more attractive later on, but you don't really need to since this new one is more than adequate. Now say you see this bombshell. Do you think you'd really want to go back to the one that wasn't so attractive? "AMD's reasoning for not disclosing more information today has to do with not wanting to show all of its cards up front, and to give Intel the opportunity to react." All they said is there is new stuff coming. Trust me, if the cpu's they had right now were beating the pants off of intel, they would post the number. I'm not saying give us the freq, the cpu runs on. But if they knew that games run 50% faster, they would at least hint it. Nice things: looks like the new mobo chip runs cool, look at how small the hsf are on those chips. Not nice: how hot are these new cpus? look at all those fans, its like a tornado in the case. It's a known fact that Intel has had to try and copy the best features of AMD's products to catch up in performance to AMD. Funny how when Intel was secretive and blackmailing consumers for 30 years that was fine but when AMD doesn't give away all of their upcoming product technical info. for Intel to copy, that's not good -- according to some. With Intel being desperate to generate sales for their non-competitive products over the past 2-3 years, they decided to really manipulate the media - and it's worked. The once secretive Intel is the best friend a hack can find these days. They'll tell a hack anything to get some form of media exposure. 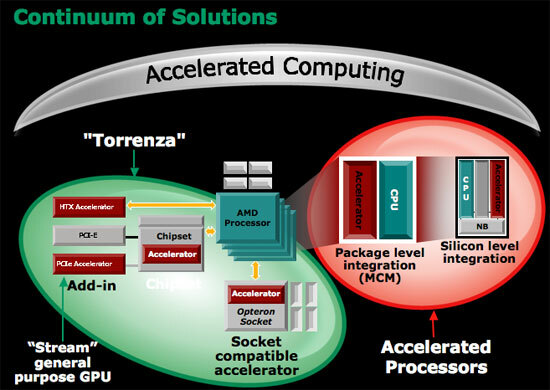 I find AMD's release of info. just fine. If it were not for AMD all consumers would be paying $1000 for a Pentium 90 CPU today and that would be the fastest CPU you could buy. People tend to forget all that AMD has done for consumers. The world would be a lot worse off than it is if it were not for AMD stepping to the plate to take on the bully from Satan Clara. Many in the media are shills and most of the media is manipulated by unscrupulous companies like Intel, Asus, and a long list of others. Promise a hack some "inside info." or insiders tour so they can get a scoop or a prototype piece of hardware that has been massaged for better performance than the production hardware and the fanboy hacks will write glowing opine about a companies products and chastise the competition every chance they get. Unfortunately what was once a useful service - honest product reviews -- is now a game of shilling for dollars. You literally can't believe anything reported at 99% of websites these days because it's usually slanted based on which way the money flows... It's no secret that Intel and MICROSUCKS are more than willing to lubricate the wheels of the ShillMeisters to get favorable tripe. What are you talking about? Intel invented the microprocessor (4004), invented the instruction set used today (8086) and has been getting copied by AMD for years. The Athlon was certainly nothing to copy, you could just as easily say they copied the Pentium III (and did a bad job of it, whereas the Core is much better than the Athlon). What's so unique about the Athlon that could be copied anyway? It's a pretty basic design. It worked OK, I guess, but the performance per watt was always poor until the Pentium 4 came around and redefined just what poor meant. 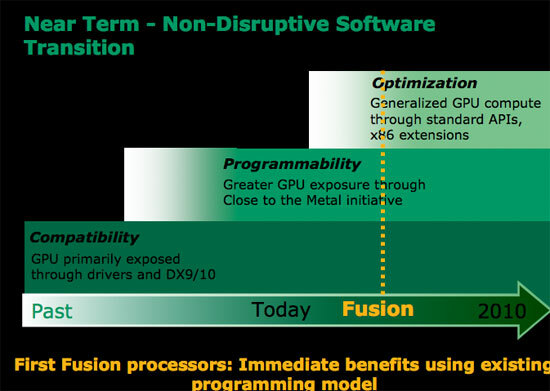 x86-64 is straightforward, and you can be sure Microsoft designed most of it. I'm not saying this as anything bad about AMD, because who better to design the instruction set than Microsoft? Intel and Microsoft do enough software to understand what is best, AMD is allergic to software, so I think this is a good thing. Actually, most of the work was done at Fairchild Semiconductor...that's where both Gordon Moore (founder of Intel) and Jerry Sanders (founder of AMD) worked together. Moore left FS in 1968 to form Intel (along with Bob Noyce) and Sanders left in 1969 to form AMD. Intel began as a memory manufacturer, but Busicom contracted them to create a 4-bit CPU chip set architecture that could receive instructions and perform simple functions on data. The CPU becomes the 4004 microprocessor...Intel bought back the rights from Busicom for US$60,000. Interestingly, TI had a system on a chip come out at the same time, but they couldn't get it to work properly so Intel got the money (and the credit). 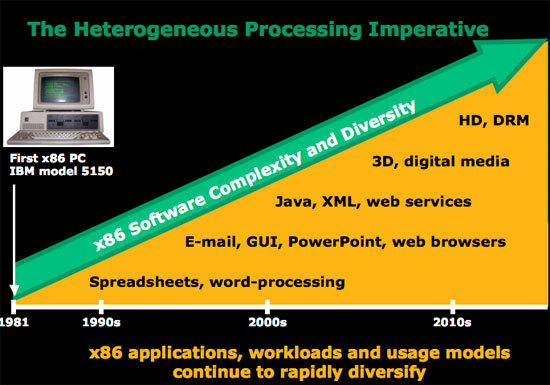 x86-64 is straightforward, and you can be sure Microsoft designed most of it. 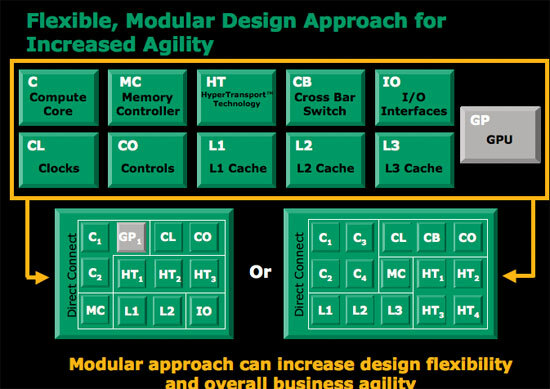 That's just silly...while I'm sure MS had plenty of input, there are no chip architects on their staff that I'm aware of (in other words nobody their COULD design it). What's your point about the 4004? You're giving commonly known information that in no way changes the fact that Intel invented the first microprocessor. It wasn't for themselves, initially, but it was their product. 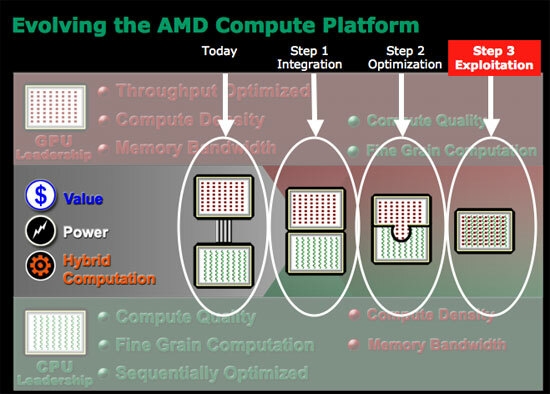 AMD didn't create it, and they didn't create the other microprocessors they were a second source from Intel. Look at their first attempt at their own x86 processor to see how good they were at it, the K5. It was late, slower than expected, and created huge problems for Compaq, which had bet on them. Jerry Sanders was smart enough to by NexGen after that. 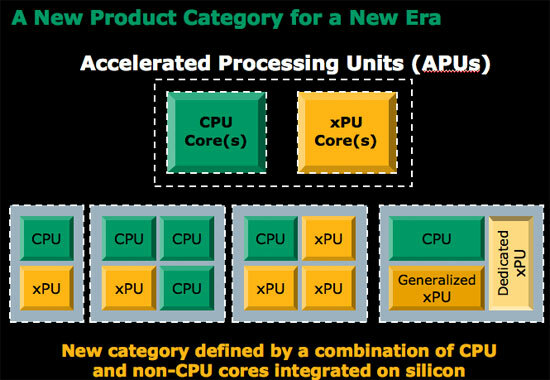 You are clearly clueless about microprocessors if you think any of those things you mention about the Athlon are in any way anything but basic. The largest L1 cache is a big difference??? Why that's a real revolution there!!!! They made a bigger cache! Holy Cow! Intel still hasn't copied that, by the way, so even though it's nothing innovative, it was still never copied. The FP unit was NOT the first pipelined one, the Pentium was and the Pentium Pro line was also pipelined, or superpipelined as you misuse the word. Do you know what superpipelined even means? It means lots of stages? Are you implying the Athlon was better in floating point because it had more floating point stages? Are you completely clueless and just throwing around words you heard? Wow, they had slightly better decoding than the P6 generation!!!! Wow, that's a real revolutionary change. You're totally off on this. They did NOTHING new on it, it was four years later than the Pentium Pro, and barely outperformed it, and in fact was surpassed by the aging P6 architecture when the Coppermine came out. It was much bigger, used much more power, and had relatively poor performance for the size and power dissipation. The main problem with the P6 was the memory bandwidth too, if it had the Athlon's it would have raped it, despite being much smaller. I don't really call that a huge success. Although, it does have to be said the Athlon was capable of higher clock speeds on the same process. Still, it was hardly an unqualified success like the Core 2, which is good by any measure. The Core 2 is MUCH faster than the Athlon 64, and isn't a much larger and much more power hungry beast. In fact, it's clearly better in power/performance than the Athlon 64. The Athlon was dreadful in this regard.